EXID showed off their unchanging�friendship with former member U.JI. 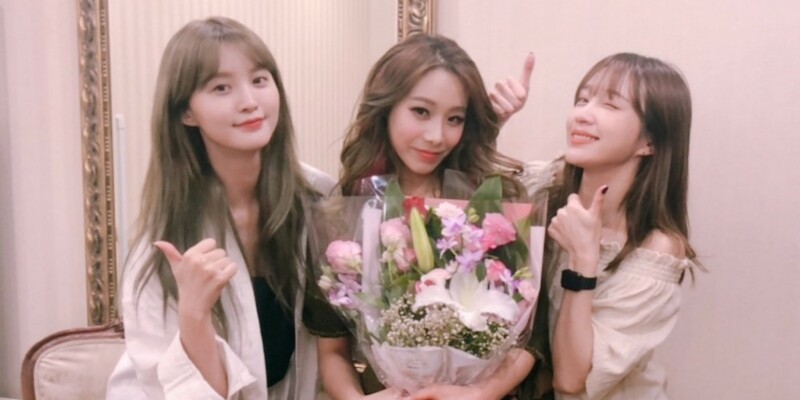 Hani and Jeonghwa�visited U.JI, who's currently promoting as a musical actress.�On June 21, Hani�shared a lovely snapshot with the former member�via Instagram and captioned, "I'm so amazed at unnie who overcame the various twist and turns and is now proudly standing on stage. I wish more happiness to you in the future." ???? ????? ? ???? ??? ?? ? ??? ?? ??? ?? ???? ?? ????? ??? ?